Born and bred in the Wirral, Jocelyn Robinson is an intgeral member of the Masterclass team, but more interestingly she is also a starting midfielder for the Welsh national lacrosse team. 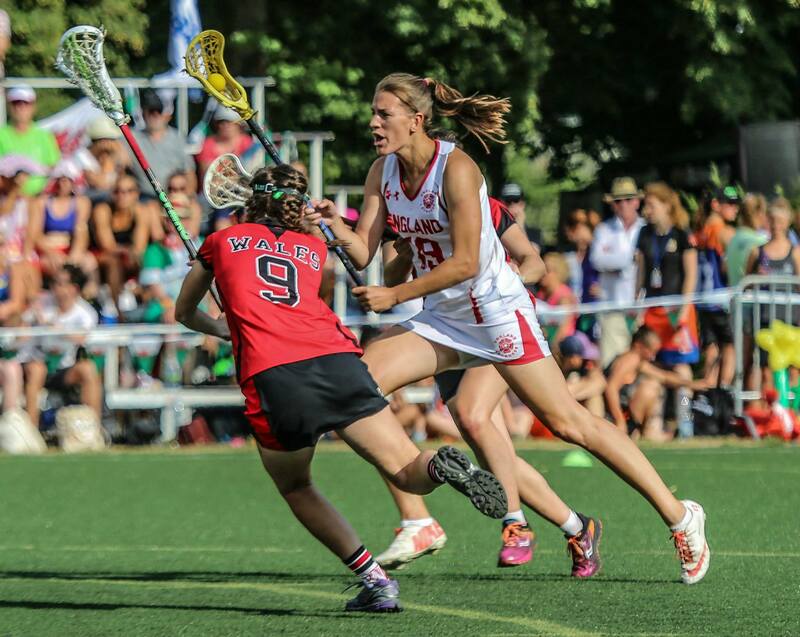 Having fled the North-East and gained a 2:1 degree in Politics and American Studies from Swansea University, Jocelyn has represented the Wales International Lacrosse Team since she was 16; competing in one U19 World Cup, numerous Home Internationals, arguably her finest moment to date came when she gained a silver medal at the Senior European Championships 2015. Jocelyn is currently training hard for the World Cup 2017, alongside her role at Masterclass, having recently been included in the training squad, from which the final team will be selected to represent Wales when the tournament kicks-off at Surrey Sports Park in July. How did you first get into playing lacrosse and what has your journey been so far? I started my playing career aged 13 at the nearby Oxton Club in the Wirral, having followed in the footsteps of my sister and friends who were already playing lacrosse - I'm not one to miss out when sport's concerned! Sport has always played an enormous role in my life, and I was already playing county and above in netball, hockey and badminton, when I was picked for a Metros team made-up of the best female players from across the North West, to tour the USA. This was when I decided that lacrosse was the one for me. Soon after I was selected for my county, meaning I was youngest player to ever play for Cheshire U18s, aged just 14, and I continued playing for my county until I was 18. At 15 I was selected to played for the North of England and captained them in my final year, after spending 3 years with the team. I then progressed into the England set-up, before choosing to represent Wales at 16, where I was picked for the 2011 Junior World Cup in Germany. During my time at university I captained Swansea Uni and was selected for the Europeans Womens Squad in 2015 where we won silver medal.